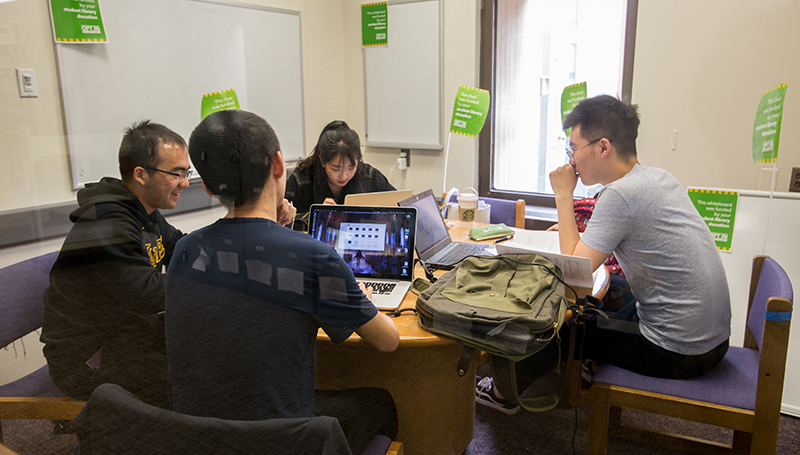 When students entered Gelman Library on April 25, 2018, they were surprised to see a sea of green flags attached to chairs, study carrels, outlets, whiteboards, and many other items vital to the function of the libraries. Even the student employees checking out books were wearing green stickers. These 2,300 flags indicated just some of the items that were directly funded by the Student Library Donation. 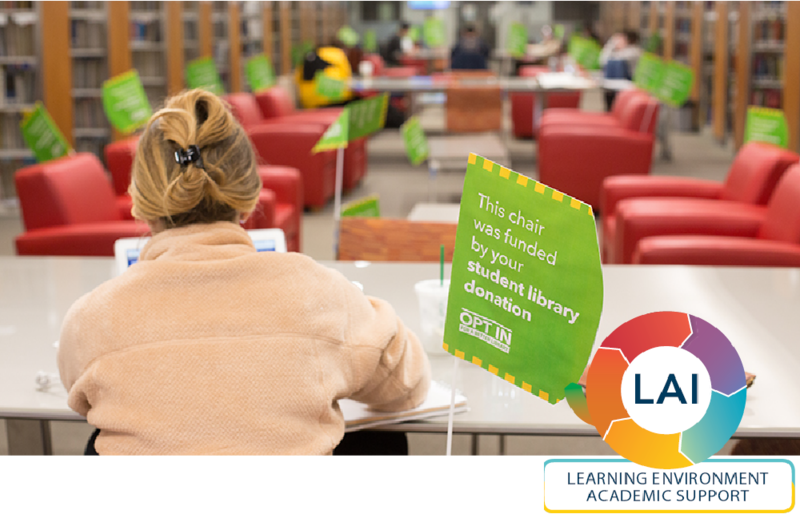 Students don’t realize that many of the things they rely on from their libraries—from small items, such as scanners and new outlets, all the way to renovations that provide new study spaces—are funded through the generous donations of students themselves. The Student Library Donation is a $50 opt-in gift to the libraries made through the tuition bill. It is a crucial source of income for GW Libraries and Academic Innovation (GWLAI) and provides funding for many important aspects of what makes GWLAI essential to the student academic experience. On Support Your Libraries Day, library staff showed their appreciation for student philanthropy by highlighting the wide ranging impact of their gifts. Some students even shared on social media their reasons for contributing. Students came away from our first Support Your Libraries Day with a cookie and an appreciation for just how much their gifts improve day-to-day life in the library as well as the recognition that they can help shape their academic experience at GW by supporting the Student Library Donation.